The rule that previously constrained Vivendi's borrowing efforts has expired. How much does Vivendi want to force Activision Blizzard to borrow, in order to shore up its own struggling telecom subsidiaries? Somewhere around the $5 billion mark seems a likely scenario, but that has yet to be decided; the 22nd July Vivendi board meeting will thrash out the finer details, assuming that there will be finer details to thrash. In the ideal, Vivendi would like Activision to pay out a massive cash dividend to shareholders which, since Vivendi holds 61% of Activision's stock, will effectively be a straight cash injection into Vivendi's anemic bottom line. Until fairly recently Vivendi couldn't force Activision to do anything without the approval of three out of five independent Activision shareholders, but that deal, signed when Vivendi bought Activision out, expired earlier this month. Now Activision is at Vivendi's mercy, and while there have been indications that Activision's Bobby Kotick would like very much to buy his way out of this position, there's been no welcome on Vivendi's part for that move. Vivendi's desire for cash has a lot to do with its reliance on telecoms units as assets, many of which are suffering from increased competition and loss of profit. It has been trying to sell off its telecom businesses, with some success, but those deals are still in negotiation. If the Vivendi motion - the details of which have yet to be made public - passes, then a second, Activision meeting later this week will be pushed to confirm the deal. It's unlikely that Kotick and Activision will go quietly into that good debt, though it may be unavoidable. 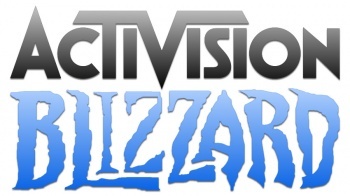 Talks of an Activision buyback have gone nowhere, at least for the moment. "We think that reports of the two sides failing to reach agreement on price are close to the mark," analyst Michael Pachter has said in the past, but the question remains: would Vivendi accept any offer Kotick might make, or would it rather keep a stranglehold on its golden goose?